The DIY Movement Shouldn't Include Pool Care - Fort Lauderdale Pool Service - Fall in Love with your pool again! - Fort Lauderdale Pool Service – Fall in Love with your pool again! Right now many people are embracing the “DIY” movement, which stands for “Do It Yourself”. They are making their own clothes, growing their own food, and even teaching their own children at home rather than sending them to schools. While there is something to be said for self-sufficiency and expanding your knowledge and abilities, not everything should be included as part of the DIY movement. Some things should still be left up to the professionals. And that includes pool care. DIY culture centers on things like YouTube videos, using “life hacks” to cut corners, and cutting out the middleman and taking care of things on your own. But this isn’t a great idea when it comes to pool care. For one thing, it can be dangerous. 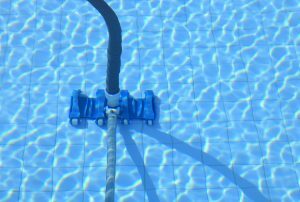 Keeping your pool safe and clean requires a knowledge of chemicals and how to use them effectively. When your family and friends are swimming in your backyard pool, the last thing you want is for them to be exposed to a potentially dangerous chemical imbalance. Pool maintenance goes beyond chemical balancing and pool cleaning. It also includes maintaining pool equipment. And while it’s possible to learn the intricacies of a pool heater, pump, or other equipment by watching a YouTube tutorial, it’s not recommended. The other consideration is convenience. DIY pool maintenance and care require a lot of knowledge. But it also takes a lot of time. Wouldn’t you rather be spending your hard-earned off time enjoying your pool rather than trying to learn how to care for it? Pool maintenance and care are best left to the professionals. When you allow the pool technicians from Aqua Buddy to care for your pool, you can focus on the things that are more important to you — like spending quality time enjoying your pool with your family and friends.